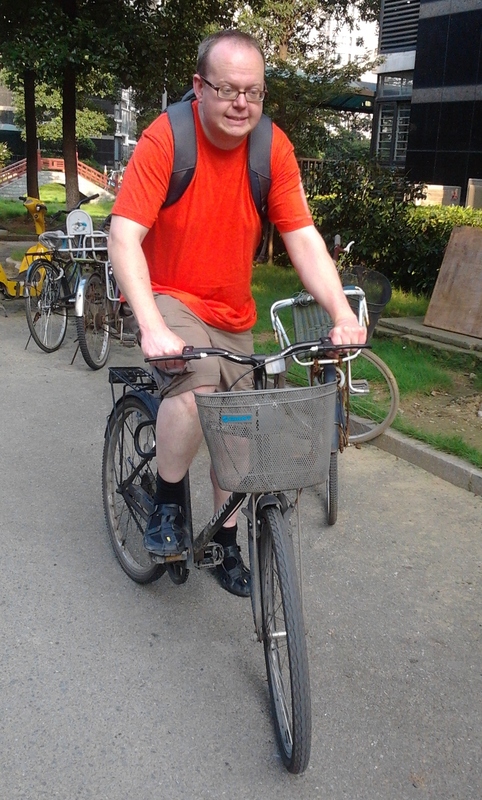 Since coming to China, John has fallen in love with cycling. He bought a second-hand bike, with a loose chain, from a colleague and it became Silver to his Lone Ranger. Even though he cycles to and from work everyday, he still likes nothing better than to zoom off for a ride in the evening or at the weekend, especially now Spring is well and truly here. No trip is too short or too long to go by bike. Despite this love, he has been very lax about bicycle security. He says that this is because Wuxi people are generally honest, so it won’t get stolen. I wondered whether the real reason was that he didn’t like to keep his trusty friend in chains. Yesterday the worst happened: He left home to go to the shops and there was no sign of his bike. Usually, it is parked immediately outside our apartment, next to my bike. My bike was still there (safely locked up), but it looked pretty lonely. We searched everywhere in case the someone had just moved the bike. We even looked in the spooky basement of our building. The basement is a dusty, last resting place for every imaginable type of bike, but John’s wasn’t there. In the end, John came to accept his bike was gone and sadly set off for the shops on foot. When he reached the security guards’ office at the gate of our area, he suddenly spotted his beloved bike. The guards had taken it in the night to give John a lesson in bicycle security. He muttered something about how they should have better things to do, but I noticed this morning his bike was safely secured.